Essential solar is a family owned renewable energy company established in 2012. 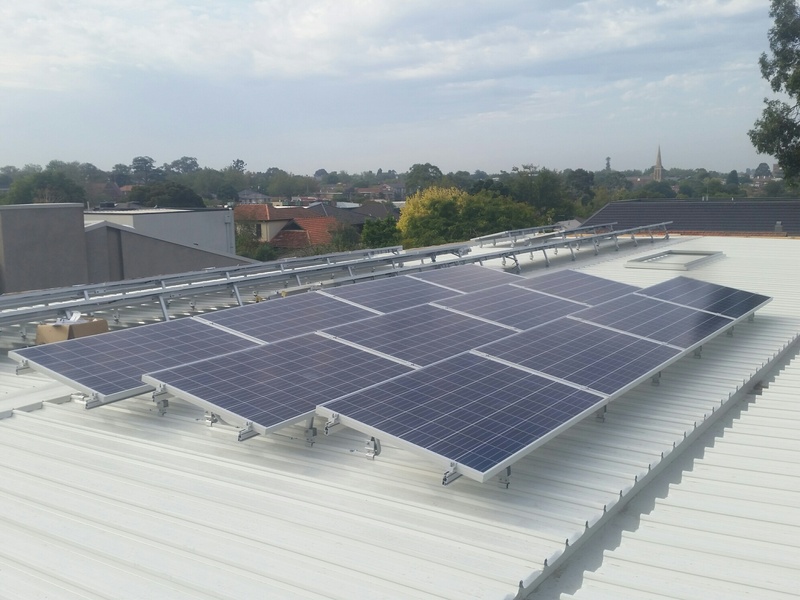 We are a high-quality retailer, designer and installer of both residential and commercial solar PV rooftop generators. Our success lies in our devotion to quality of products and our enthusiastic staff dedicated to 100% customer satisfaction. We are committed to providing the right solution to each and everyone of our customers while focusing on Performance, Quality and Reliability. At Essential Solar we regard every company and residential customer an important part of our business. We pride ourselves in providing exception advice, support and service from our first consultation to years after installation. As well as the environmental benefits of solar power, we understand that an important driver to install solar is to save money. Our qualified CEC design team will ensure the best panel layout for your premises based on a number of factors, including shading, roof availability and electrical parameters to maximise efficiency of your system and providing the best financial return. 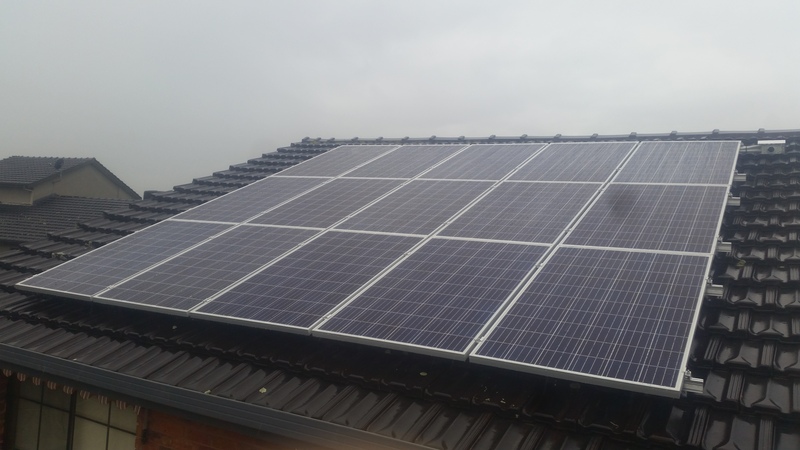 Of course, purchasing a solar PV is a long-term commitment so the reliability of the components of the entire system is critically important and for that reason Essential Solar’s CEC accredited installers will only install Tier 1 products. We are accredited direct service partners with Fronius Australia and believe our business relationships is an important aspect of our company to be able to supply our customers with the latest and most efficient products on the market and continue to provide our customers with the best support possible. Don’t waste sunlight – make the sunshine work for you. 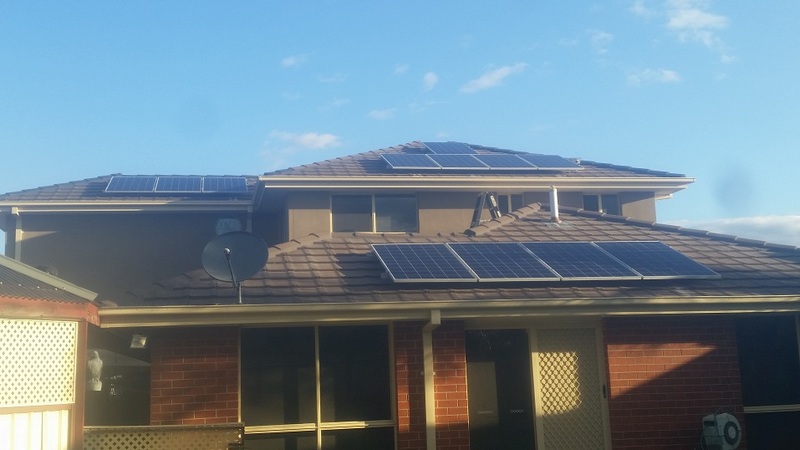 Very happy with the service, installation and follow up from Essential Solar. It was a conscious decision to choose an Australian company based locally for piece of mind for years to come. The fact they monitor your system for the life of the system for free was the deal sealer for us. The 'Technical Salesman' quoted for the Fronius Inverter to be installed in our entrance hallway but when the contract installers turned up they immediately referred back to their management who confirmed with the Essential Solar management that the internal fan noise of the equipment made it unsuitable to be mounted indoors. The installers had to come back another day once an alternative inverter location was determined. The conduit route discussed with the Salesman for the high voltage DC line from the roof panels down to the inverter was also too long and had to be re-routed. Zero communication between the salesman and installers. Post installation we were surprised to find that an optional piece of equipment, at extra cost, was required to monitor real time house power use. Had no problem with the installers/installation, they were just the 'meat in the sandwich' due to poor communication. Customer support post installation from Essential Solar's office was OK.
Of all the installer we received quotes from, we found Essential Solar to be the most thorough. They spent a lot of time at our initial consultation inspecting the property, looking at our electricity usage, and then explaining a number of different options to suit our needs. I never felt pressured to sign up to anything, and they were more then happy to answer any questions I thought of over the following days. Interactions with the office staff was always great and they were very helpful with grant application process, providing all the required paperwork and guidance we required to apply. The Installation itself was super quick and went of without a hitch. All of the installers were super friendly and professional, and I was impressed with how well they cleaned up the site afterwards. All the installers seemed technically very competent, although one wanted to do the whole thing over the phone which turned me off right away. The prospect of the best after-sales service compared to the others swayed me toward Essential. ie they will provide a monitoring and maintenance service and mentioned this at our first meeting (it was on the quote). The others would provide software (which comes with the inverters anyway and which I could do myself) but it didn't seem to be important to them. I really wanted to get Tindo panels but they are in SA and only had a person in Victoria who would install the panels. Tindo's rep here in Victoria seemed technically excellent and maybe would have been happy to help with monitoring etc but it seemed to be only him, not a real company service provided to customers. Tindo insist on having the monitoring software installed (to get the 25yr warranty) but no mention of actual monitoring in order to provide a service to the customer (this is not to say they don't actually do that though). So in short I felt more comfortable that Essential Solar would actually be there if things went wrong. The panels haven't been installed yet so let's wait and see what actually happens. I ended up ordering Sunpower panels and Enphase micro-inverters. 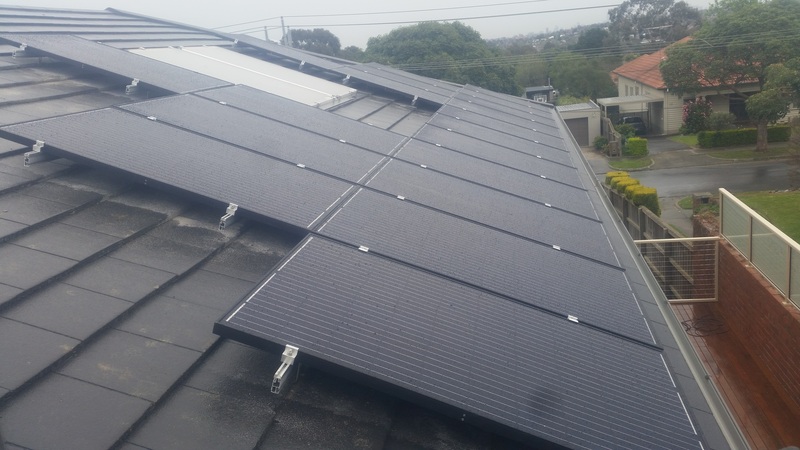 I do wish that Tindo would use a different business model and just supply their panels to any reputable installer, like Essential or Macedon Ranges or Cola. As a Mr. and Mrs. Joe Average we know nothing about solar panels and some of my telephone questions to Tam Le and Hayley Mitchell must have sounded pretty silly but their patience and helpfulness has gone far beyond the call of duty, so to speak. When the system was set up Hayley worked hard to make sure I was able to access the Fronius site and get it up and going. 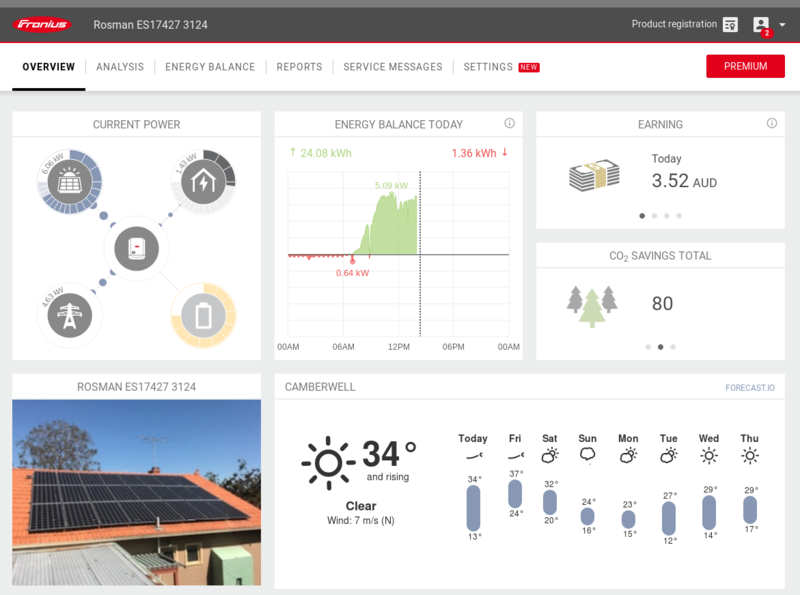 This is the second system we've had from Essential Solar, having previously done a house in Melbourne. We're 300m from the ocean and get a lot of salt spray and hence corrosion. High winds are also a real concern. Essential Solar sourced what is hopefully the best panel for the harsh environment. The install guys were great this time too, but a different team. As storms were forecast for later in the day, they went the extra mile and arrived at 6:30am after a two hour drive to make sure they could finish before the rain hit. On both occasions they done a neat job, and cleaned up afterwards. Of the three quotes received Essential Solar was the only one who actually bothered to send out a rep to discuss our requirements - the others simply quoted by email using layouts based on aerial photos. Our requirements are a bit unusual as half the house has a slate roof and we have a constant base load of computer servers running 24 hrs a day, in addition to the normal household stuff on top of the base load. We managed to get 18 panels on the non-slate portion of the roof. Although a bit more expensive, we got micro-inverters as a couple of panels may be impacted by shadowing at various times of the day/year. The install guys were great - arrived when they said they would, did a neat job and cleaned up afterwards. Have only made the deposit, I have to wait for instillation as they are so busy, but its not long. Didn't need to spend the extra money on panel level optimisation and micro inverters for which other suppliers were boasting for a premium price. 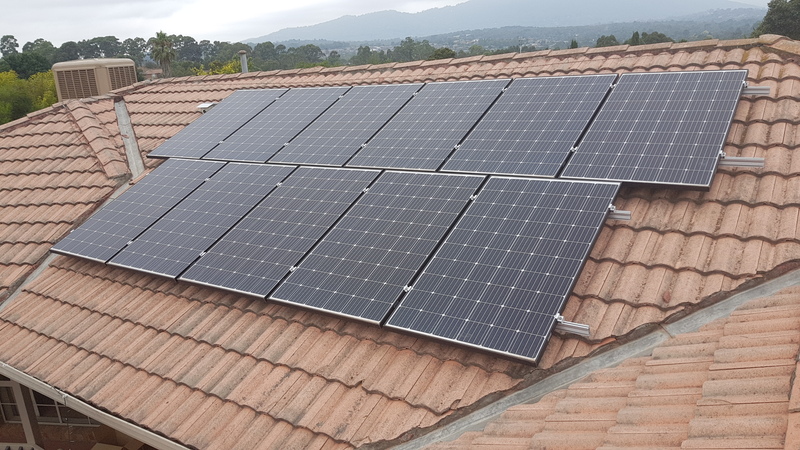 We have a 5.3 Kw system comprising 16 320W SunPower panels and an Enphase Enlighten mini inverter connection to our electricity panel. We installed on 20th November 2018 and are just now able to see benefits from our first bill, with which we are pleased with the results so far. The Enlight system give us real time, on line status of the sytem so we can judge when to run power hungry appliances to our best advantage. 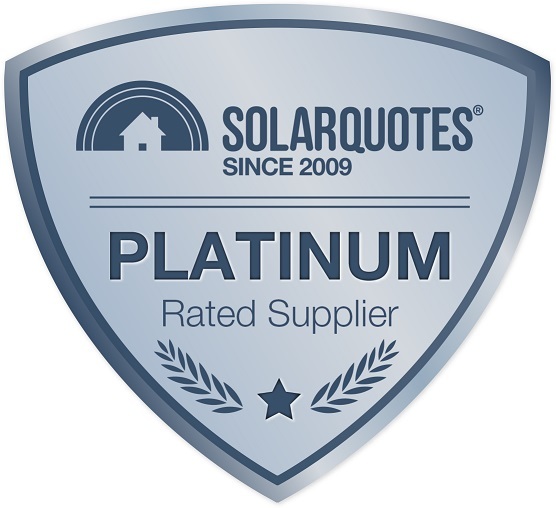 Essential Solar have provided excellent service from initial sales call to competition. Firoz explained in full all aspects of the system with cost comparisons of all alternatives, and showed considerable patience to all of our many questions and concerns and requests for alternative quotations. Jessica was extremely helpful making sure we completed all steps during design and implementation. David Bruce was helpful in providing good technical advice. Installation was carried out efficiently and thoroughly by the electricians and checked out well by our relative, an engineer. Excellent service from the first contact to after the installation was complete. Good advice, good detail and realistic expectations for performance, savings to be achieved and time to get system installed. I am really impressed by Essential Solar. The salesman was efficient, the office staff very efficient and helpful. Every document required by the Victorian government for the rebate was collated and emailed to me so all I had to do was upload them to the email form. The installers arrived on site at the time quoted and had the system installed in half the day. 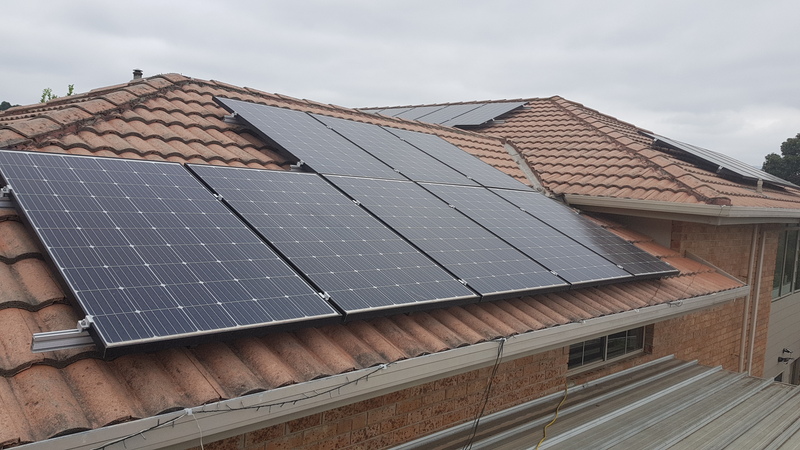 The electrician contracted by Essential Solar to check the system and issue the electrical certificate also arrived on time on the day quoted. The most amazing thing about the whole process was that I never met any of the Essential Solar staff, everything being organised over the phone or internet. Essential Solar allocated installation day and time and they were on time. Installation was done without issues. 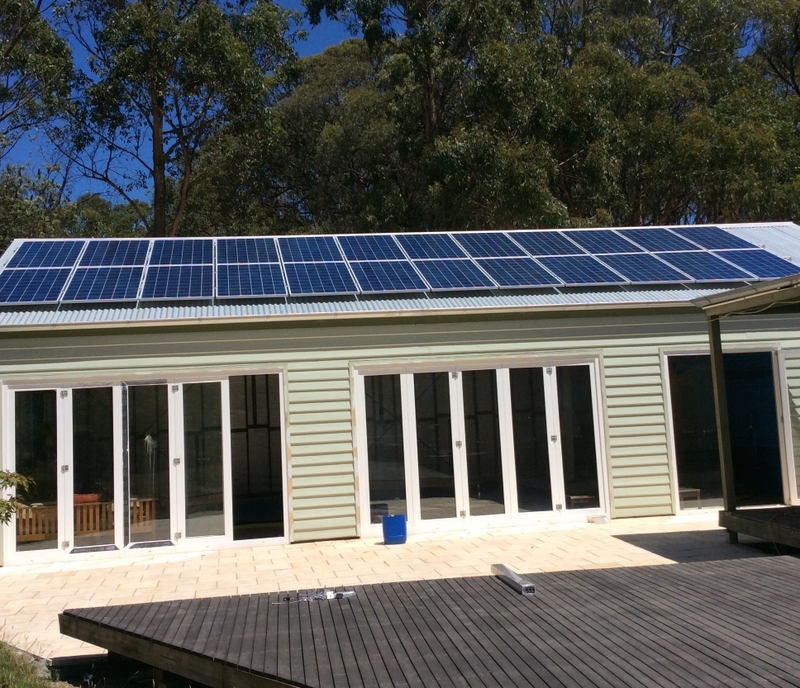 All documentation required for Vic government rebate relating to the Solar Homes program was provided. Fronius offers extra 5 years of warranty. To claim extra warranty inverter must be registered on their website. Even registration for this additional warranty was done by Essential Solar. Any inquiries I did have, all where handled by Jessica K and Jessica F in customer service with diligence and without hint of bother. I also received all documentation in PDF on USB Flash drive. No one in my circle of panel uses from other companies did have such service. Also help from Finn Peacock's website was indispensable in selection of panels and supplier/installer. I've had the best experience with Essential Solar. While I received quotes from more than 15 providers, Essential Solar were actually the only ones who came out for a site inspection. Firoz was very knowledgeable and not at all pushy and we soon agreed on a system. The installation took place a couple of weeks later. The guys were there at 7 AM sharp and were done by 1 PM. All very professional and friendly. The inspector came by a few days later and the system has been running smoothly since then. They also helped me get the VIC rebate and provided all the necessary documents. every person i've delt with at essential solar were excellent!! they answered any questions i had straight away. you can tell they are planning to be around a long time! I've spoken to a number of people since the installation and our unit is a far more superior compared to anyone else's i've seen! i didnt know much about solar and the team at essential solar really looked after us and sold us a quality system that is going to work harder and longer for us!